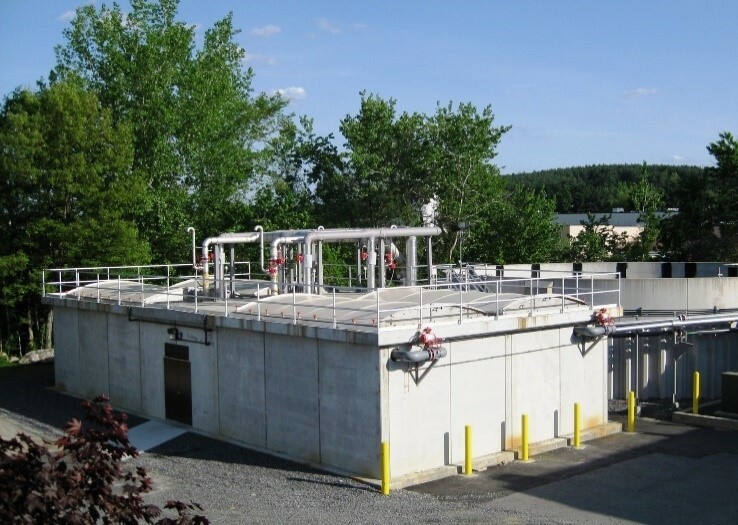 "The system is a proven technology that consistently works for our plant’s variable waste stream"
PITTSBURGH--(BUSINESS WIRE)--Evoqua Water Technologies’ (NYSE: AQUA) ADI® Systems today announced the award of a design/build wastewater treatment project with Ken’s Foods, a producer of high-quality dressings, sauces and marinades, for its new food processing facility located in Lebanon, Indiana. Ken’s Foods once again chose the ADI Anaerobic Membrane Bioreactor (AnMBR) treatment system based on the technology’s proven success at the Marlborough, Massachusetts , and McDonough, Georgia , processing facilities. The state-of-the-art AnMBR system combines anaerobic digestion with physical separation membranes, resulting in maximum biodegradable organic removal and biogas production. In addition, the AnMBR offers a compact footprint, ideal for installations with limited available space on-site. “The system is a proven technology that consistently works for our plant’s variable waste stream,” stated David Muskopf, vice president of engineering, Ken’s Foods, Inc.
Ken’s Foods’ treatment system will include a 2.2-million gallon anaerobic, continuously stirred-tank reactor, two 90,000-gallon anaerobic membrane tanks and a biogas collection, transmission and flare system. 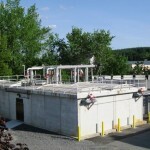 The treatment system is designed to produce a high-quality final effluent with very low chemical oxygen demand, biochemical oxygen demand, suspended solids and fat, oil and grease concentrations to meet the discharge limits of the publicly owned treatment works in a single anaerobic process step.